I hate planting daffodil bulbs in October. There is no immediate reward for the work. But oh, when April comes it makes me so happy. The deer don't eat them. They grow where I can get nothing else to grow. Even a lady with brown thumb (me) can make them grow. They love a wooded site. I try to buy a bag of bulbs every fall and add them to the collection. Today, the hillside below our house is a sea of yellow, with a little white mixed in. I have planted bulbs in all kinds of nooks and crannies. They even come up in places I haven't planted them! 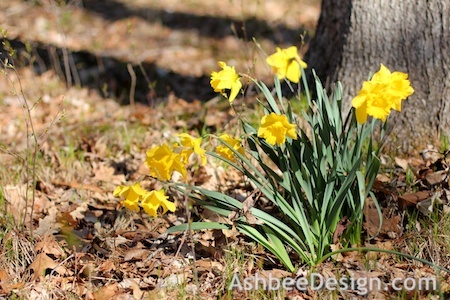 Naturalizing daffodils is the process of planting them willy nilly, not in a planned and orderly fashion. Choose an area to plant Scatter a couple dozen bulbs, allowing them to fall haphazardly to create random look. Separate those that fall too close together so they have space to multiply. With a sharp spade at an angle (slice into the earth. 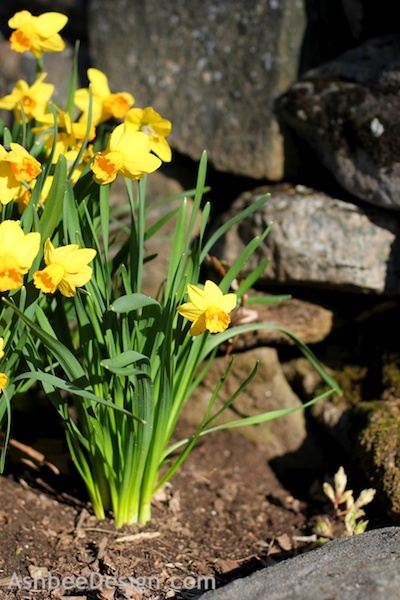 Loosen the soil with your spade, and work a small handful of boneameal or balanced granular fertilizer or bulb-booster into the soil al few inches below where the base of the bulbs will rest when they’re planted. 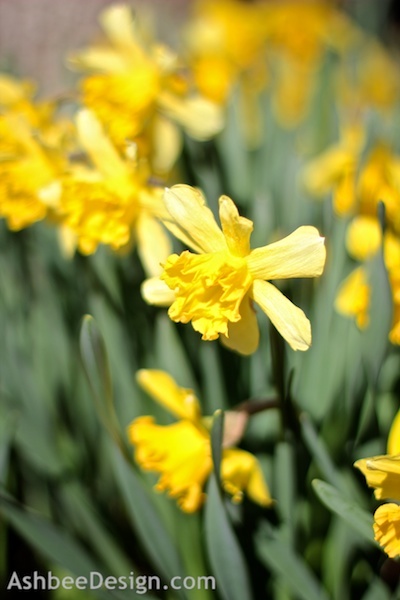 Bulbs are planted at a depth of two or three times their height – usually 6-8 inches (15-20 cm) for daffodils. Plant the bulbs, pointed end up. Replace the earth, tamp it in place and water well. Repeat the process with the remaining bulbs. 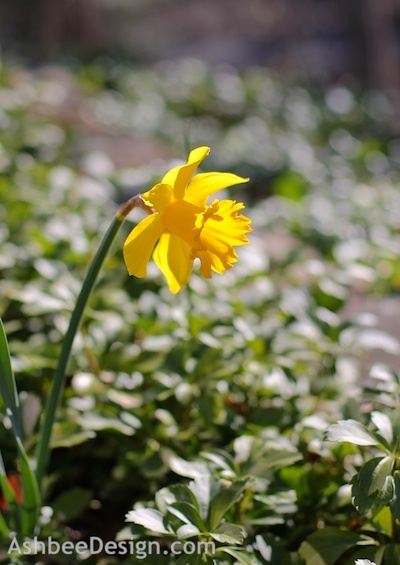 After they bloom in the spring: Remove the flowers as they fade, but allow the leaves to yellow before mowing. The foliage feeds next year’s bloom. They are so wonderful aren't they - our's are only just coming out, it's been so grey and cold. Sending warm spring thoughts your way. Mine are in full glory! My dilemma - should I pick some for the table? I battle this every year. I love them outdoors, and it never seems like there are enough of them. If I pick them, they don't lst as long, but I get some inside. Thanks for visiting and commenting. 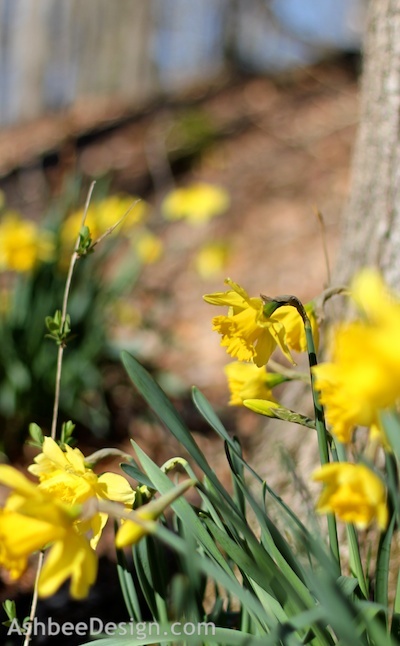 Boston can use a zillion daffodils this year. Sending the light your way, as I have been all week. 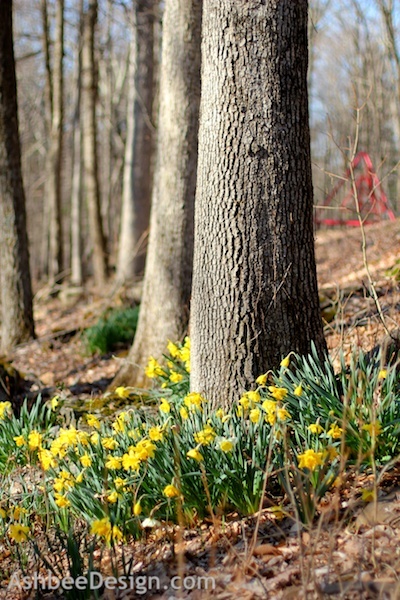 How nice to have a beautiful woods in your backyard. 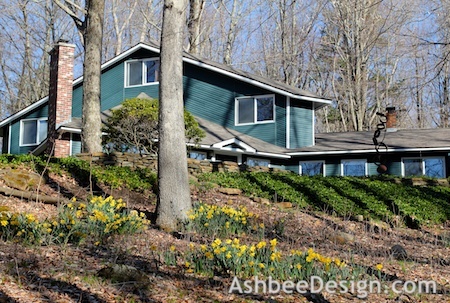 Love the daffodils! Thank you for sharing it at to What We Accomplished Wednesdays. Have a great week! Beautiful!! 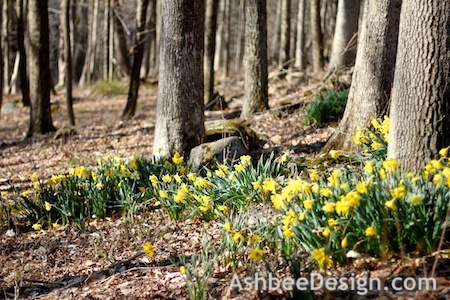 I loved all the daffodils I saw this year. :) Such happy flowers. Thanks for linking up at Romance on a dime last week.